Mr. Senthil Kumar is an Alumnus from Kongu Engineering College, Bharathiar University and holds a Degree in Mechanical Engineering. A seasoned Engineer and software Professional with 28years of diverse experience in the Mechanical Industry, particularly in the field of Design, Development and Manufacturing of Products, of which, two decades was with the Mechanical CAD / CAM / PLM company, thereby aiding small, medium, large and global organizations transform the way by which they Design and Develop Products using latest cutting edge software tools and technology like PTC Creo, Pro/ENGINEER, Windchill. 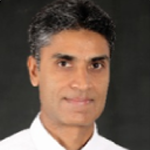 To CADOpt, he is the person who initiated, highlighting and Educating PTC's Creo Customers on Knowledge Based Engineering (KBE), Design Automation, Customization, Training and so on, from which CADOpt can now reap significant Value and Benefits to offer these niche Software & Design services. Mr. Karthik Kandasamy, holds a Bachelors Degree of Engineering in Mechanical and completed his Master's Degree of Engineering in Production. He is a result oriented professional in with more than 17 years of Experience in Project Management and Program Management. With his tremendous knowledge and intelligence he has made the company grow faster than any other competitor. Basically in, monitoring & controlling projects with respect to cost, resource deployment, time over-runs and quality compliance to ensure satisfactory execution of projects. Adept in formulating operating budgets and managing overall operations for executing projects within cost & time norms. He is second most important pillar in CADOpt, who provides a direction, motivation & training to the team for ensuring optimum performance and implementation of performance management system within all Departments of CADopt. 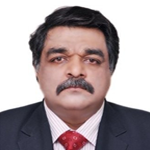 Rajeev is a Vision Oriented, problem solver & customer first focussed Entrepreneurial Business Leader with over 22+ years of experience in Enterprise Solution Sales, Service, Consultation and Business Development, he has a proven track record of achievement in conceiving & implementing ideas that have fuelled market presence, increased market share & driven revenue for the Organizations he has been associated with- A team leader with on field Sales experience who has successfully envisioned and delivered insightful, innovative business solutions to his clients. With his experience he has contributed significantly to organizations such as Wipro Infotech and ITC Infotech as Regional Head Sales and National Manager Sales respectively. He has also had significant success in managing business and sales in Middle East region with organizations such as Emirates Future Enterprises, ITC Infotech and Computer Point all of which were based out of Dubai. 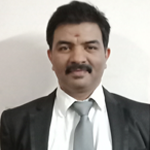 Mr. Raghavendra Mullur is a Mechanical Engineer with a MBA in Project management. He has 20+ years of vast industry experience & with a unique combination of Design, Manufacturing, Quality & Programme management experience, adds value to company’s service offerings. He worked in manufacturing industry in his initial days. He also worked with Automotive majors like “Meritor” & few Engineering service companies managing programs for U.S.A based customers. He has expertise in designing & manufacturing of Moulds, press tools, & Automotive systems like Axles, Brakes & Transmissions for Commercial & off-road vehicles. 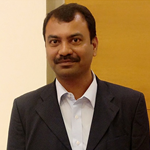 He is a Black belt in Six sigma & leads the quality initiatives in the organisation. He is considered as a base of CADOpt as he is the person who takes care of all the Design Automation and Technical Teams.